Day 2: Sensoji temple, Asakusa in Tokyo - Nakamise Dori Shopping Arcade in Tokyo - Sumida River Cruise, Tokyo - Hibiya garden - IMPERIAL PALACE AND GARDEN - Tokyo Tower. The map of Tokyo city showed a big patch of green right in the middle of the city. And now that we were roaming around in that part we knew exactly why! We were somewhere in the heart of the city and everywhere we saw - the Hibiya garden, the pathways we walked on and the destinations we were led to - our eyes saw thick blankets of green adding charm to the already beautiful Tokyo! A short walk from the Hibiya Gardens, we found our next spot - the Imperial Palace East Gardens - more carefree and a bit more peaceful than the Hibiya. At the entrance of the garden stood a majestic statue in honor of the great samurai warrior - Kusunoki Masashige who fought many a great samurai battles for Japan’s Emperor in the early 14 century. 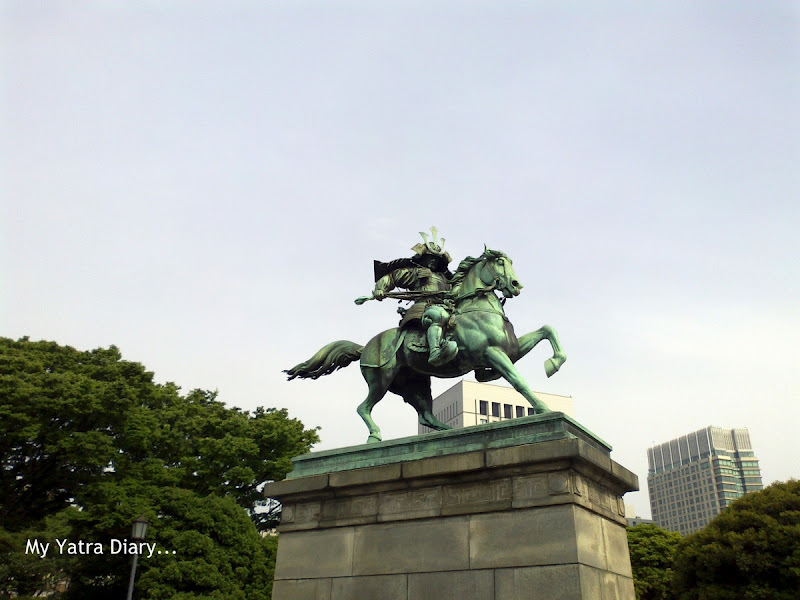 Kusunoki Masashige – the great samurai warrior, shown riding a horse. Open for the general public for free, people were simply relaxing in the gardens or taking their children on joyful pram rides. Tired by now, we sat down on the soft green grass and took out some time to relax. Nearby, a small girl was running around busy playing with her younger brother, rolling out chirpy laughters in the air. I casually waved to her and she returned a cute grin back. Cute kids - our friends! That was the beginning of a sweet, short and simple language-barrier free friendship lasting for the next half an hour or so. 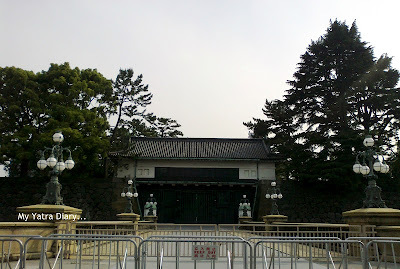 Batteries fully recharged, we bid good byes and exited the garden to walk straight into the Imperial Palace. 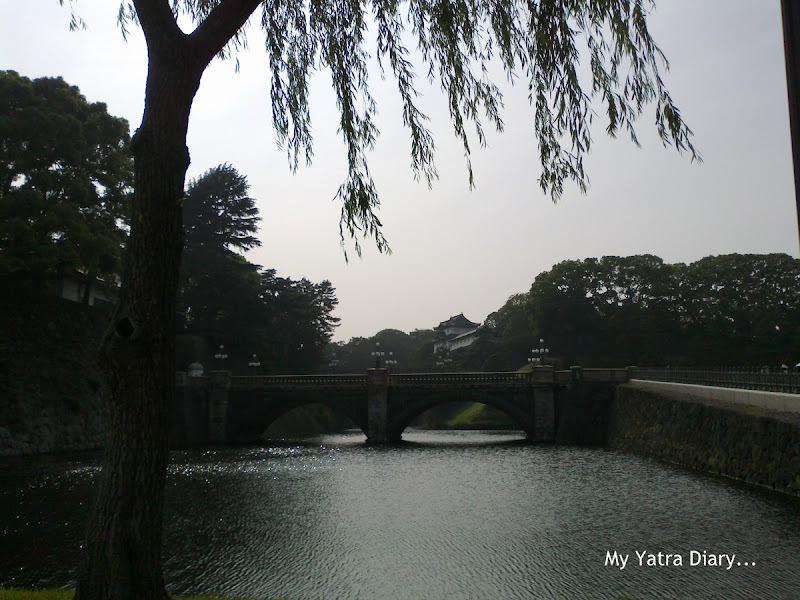 I saw the entire setting of the Imperial Palace as something that I had always seen in fairy tale books - a massive moat with still waters creating wavy ripples in it, the towering walls around it, a stone bridge standing above and... in the background, mounted on a hillock surrounded by lush woods and grass with various flowers adding color - the elegant Imperial Palace. 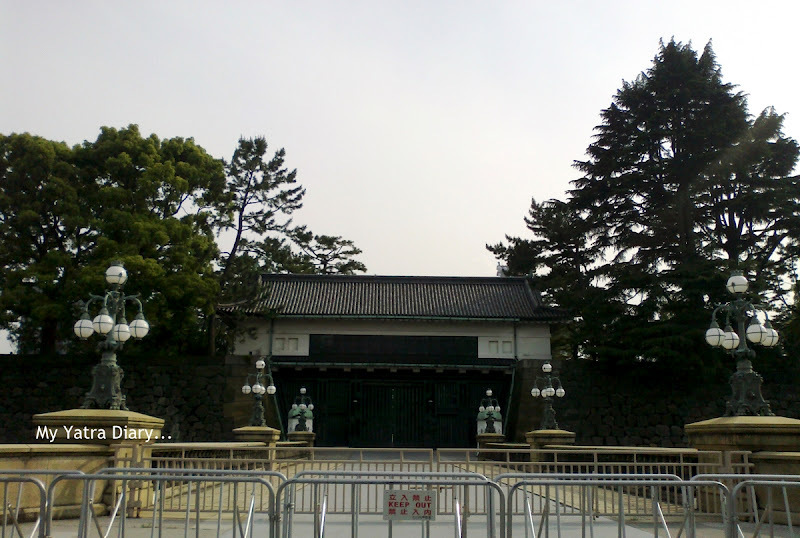 Formerly known as the Edo Castle from where the Shogunate (governing officer) had ruled the country for over 250 years, today the Imperial palace is home to the Emperor of the country and the Imperial family and remains closed for general viewing. But much of its surrounding property is free for you to roam around all through the year and just have a good time in the peace of nature. For the Imperial Palace East Garden: Otemachi Subway station (C10 exit). For Imperial Palace: Niju-bashi-mae subway station. Also, For both: Around 15 min. 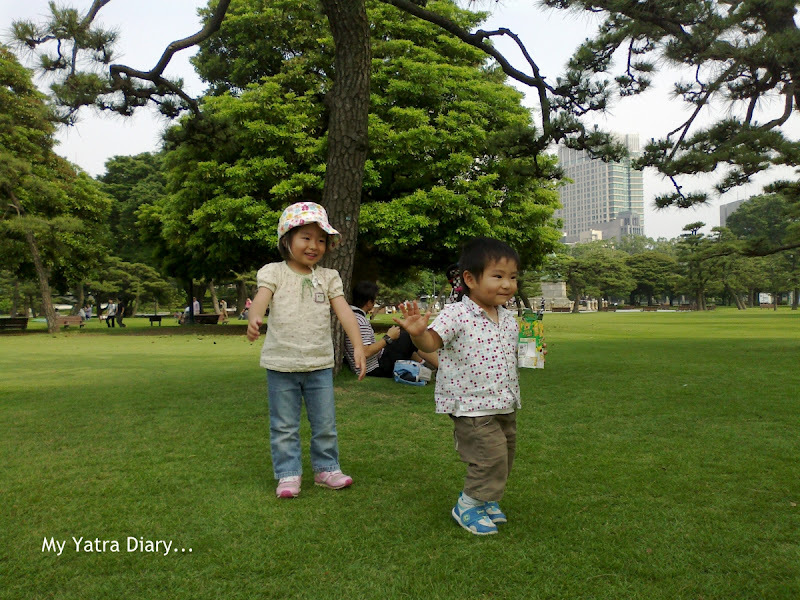 walk from the Hibiya Gardens. What a delightful looking, lovely garden, Arti! Your photos are terrific as always -- the next best thing to being there! Thanks for sharing the day! Hope you had a good weekend and that you have a great week ahead! Lovely. Japanese trees always look so pretty. I mean, all threes do, but there's something about Japanese trees. Always good to hear of friendships, no matter how short, that break the barriers. would you be writing about tokyo dressed in its evening gown too? love your photos, and so cute you found a sweet lannguage-barrier free friendship. Looks like a magnificent garden and park and so tranquil. @Arti Thanks for the beautiful post of your Japan Yatra. Beautiful photographs with description. Thanks. @betchai Yes, I will... that's the Tokyo Tower. 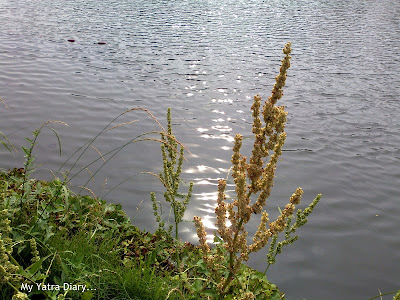 lovely post and photos, Arti!! you are giving us a virtual tour of japan!! It is a very neat and tidy world. Thanks for sharing this place all the world. The place is very large and beautiful, as you know. 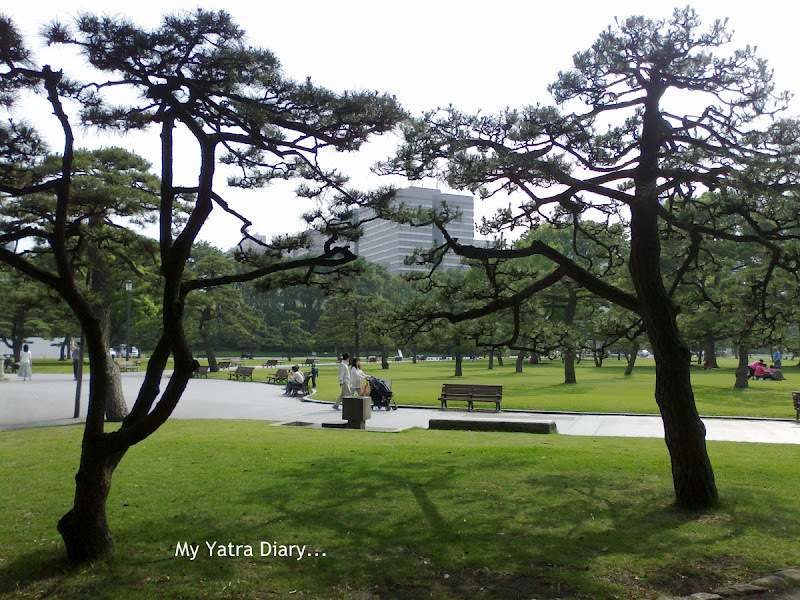 I can't believe that the place is located in the center of Tokyo. Lovely posts and photographs Arti. There's a lot to read what I have missed earlier but enjoyed the clicks and the narration. Very nice photos, Arti! Love them all. They bring back such fond memories as well. Looks like a great trip so far. 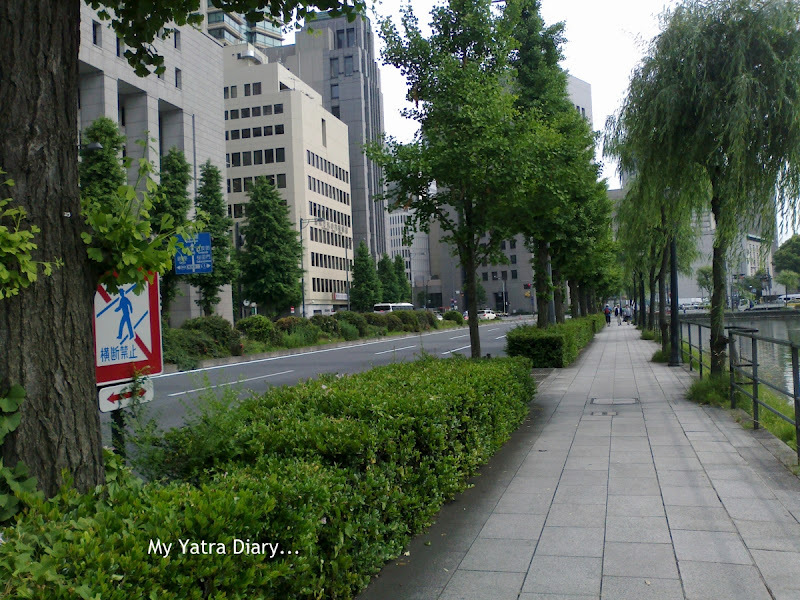 So informative Arti - you learned much history while in Japan. I like the simple friendships you forged. in your earlier post of shopping complex. and what beautiful pictures , you sure had a good time .. The little children in the park are so cute. Wonderful series of photos from your trip! Hello, Arti. Thanks for reminding me of Japanese history. Yes, Kusunoki Masashige was very loyal to the emperor and fought for him in 14th century. In my hometown Kobe, there is also his statue at Minatogawa Shrine, we have affectionately called him Nanko-san. There seem to be much more green in Tokyo than I had thought. Look forward to the next place. I've truly enjoyed this and the previous post strolling through the garden. what fantastic photos - capturing the essence of the days you've spent there. thanks for including the history of these spots. and thanks for sharing this adventure with us. happy week to you Arti. always a pleasure. We loved the Imperial Palace and East Gardens. Looks like you didn't get lost like we did :) It's amazing how well-maintained and beautiful the gardens were amidst the skyscrapers. We hope to get to go inside the palace next time. A garden right in the center of the city! That's really great and wonderful planning too. Loved the pic with the 2 kids.. Even though Japan went through catastrophic incidents in the past and present, they still know how to maintain this country! Something for us to learn.. I always think of Tokyo as a concrete jungle with no room for green space or palaces. Cool to know that you can find both in Tokyo. The place is huge and so relaxing in the middle of a busy city. 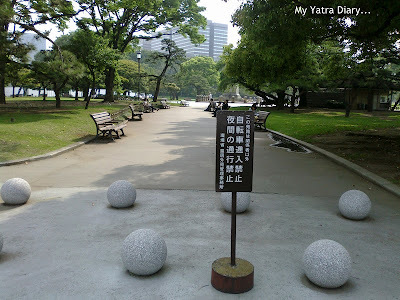 Such a nice place Japan is looks like its equivalent to what Hyde Park is to London though we have some small parks in Delhi but not as diverse as it is. OH, Kusunoki Masashige!! He was my hero when I was a little child. I do not know how many books on him I read and how many movies about him I saw. He has been admired as the symbol of Samurai spirit. He was dedicated all his life to the emperor and his son also followed his father. Thanks a lot for taking me to my good old days!! @Rakesh kumar Ji I have edited the post with the price list in Indian Rupees as you had asked for. Please have a look and let me know if you require anything else. @stardust @snowwhite Thanks for the additional bit of info. It was very interesting to know! A statue built in honor very near to the entrance very beautifully reflects the warrior, Kusunoki Masashige's loyalty. I loved finding those green places when I was staying in Tokyo. Very relaxing to me. Beautiful pics, Arti. 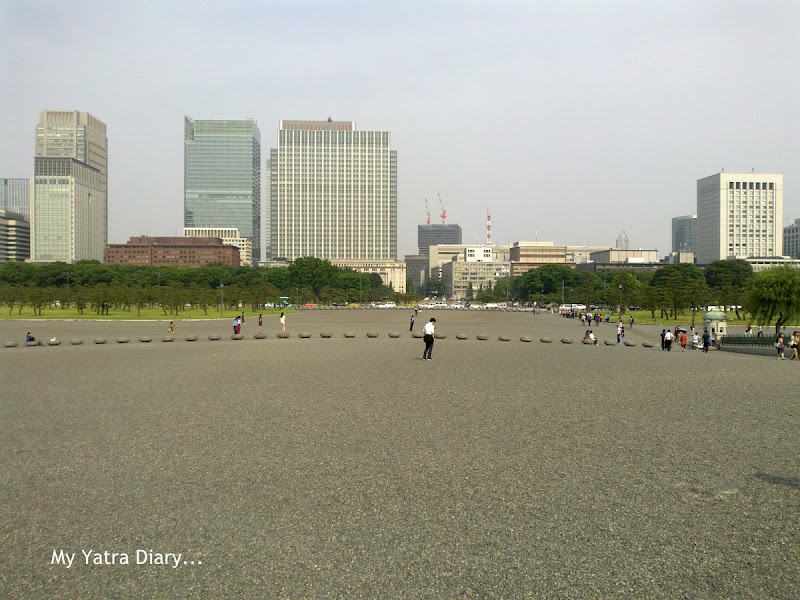 Tokyo is such a neat and tidy city...:)The Imperial palace with sprawling lawns looks so gorgeous!! Both beautiful gardens -- and it's lovely you made friends with the adorable children -- language doesn't matter really does it! Hii.....lovely pics and lovelier write-up. The post was very informative :). such a beautiful place Japan is ! Having the time of your life, Arti? The good thing is that you make us feel the pleasure you feel. Tokyo looks so green and beautiful. The palace garden is beautiful. You have clicked some nice images. The greenery look good. Overall write up shows that you are having a great time. Very thoughtful of the Japanese to create parks & open spaces in the middle of the city.Such gestures improve the quality of life. I never know what to like the most on your blog posts sometimes.. the images or the wonderful narration. Lovely place!! Reminds me of NYC's Central Park.. This post brought back lot of fond memories. I was struck by the greenery around the Imperial Palace premises, i mean this was bang in the middle of a city like Tokyo. You have perfectly described how even i felt, the first time i set my eyes on the lake, the stone bridge and the castle:) how i wish they allowed people to take a peek inside. The gravelly path leading upto the palace gates, the cool climate, and acres and acres of open space was magical in a city.